Oh, bad Marco, bad dog…:) Wow, dolphins so close in the wild…! That’s great. Poor guy, he looks very disappointed that they didn’t want to play. 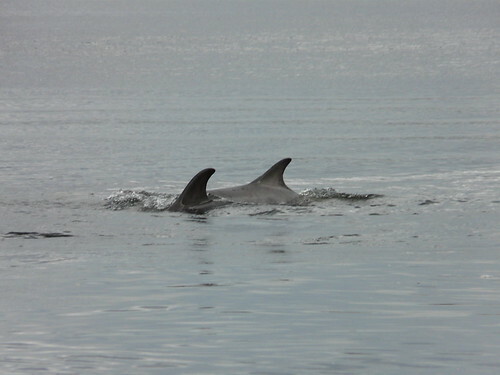 Pia – They come into the Moray Firth all the time and are often extremely close to the shore at Chanory Point in the Black Isle. The beach was featured on the BBC programme Spring Watch a couple of years ago and since then there are always lots of people on the beach dolphin spotting. It’s a lovely atmosphere amongst them all. Robin – He was very disappointed indeed. Don’t think he knew where they went! Marco is so up for anything exciting that nature might present to him and they say cats are curious! Love Marco! He’s the cutest thing ever. Marco is such a hardy dog. We saw dolphins like that near the Dingle Peninsula in Ireland, but no dogs. Why is the Black Isle called that? Johanna – Ah, yes. We’ve had the seagull experience too! 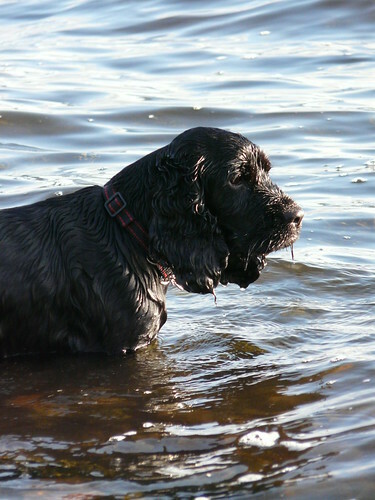 Joanna – If there were I expect he’d try to chase them too! 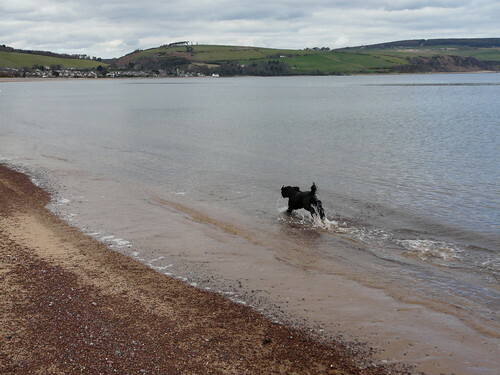 Yvonne – Hardy or foolhardy, I wonder… The Black Isle isn’t actually an island at all. It’s a really long penninsula. I’ve heard that when the Vikings came to Scotland they named it the Black Isle because it a) they thought it was an island and b) it was completely covered in trees making it look very dark.